Charterhouse Friars CC win the MaltaT20 Crossfire Trophy. 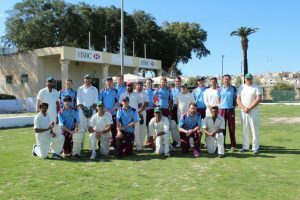 The second edition of the MaltaT20 Crossfire Trophy saw Charterhouse School’s Friars Cricket Club victorious in what was the best ever cricket club tournament staged in the Maltese islands. 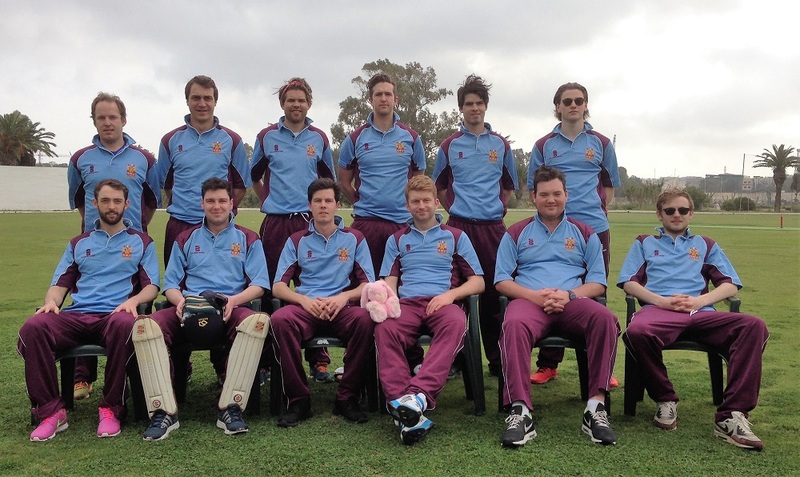 8 matches were played over the 3 days, culminating in Sunday’s final which saw a Maltese runs record of 411 runs in only 40 overs. 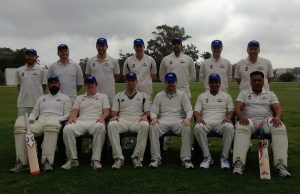 In the group stages, local’s Marsa CC took the honours with 3 wins, defeating Charterhouse Friars, the Cricketers CC and Middlesex Champions, Hampstead CC. Marsa were led by the impressive batting performances of Frank Spiteri (62), Sam Aquilina (62); and the bowling of Nowell Khosla (3 for 14), Niraj Khanna (3 for 21), Bikram Arora (3 for 33) and junior Ethan Xuereb (2 for 15). 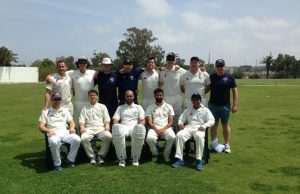 Sunday’s final’s day was one of the most exciting ever witnessed at the Marsa Oval with the 3rd and 4th playoff between Hampstead CC and the Cricketers CC finishing in a tie. 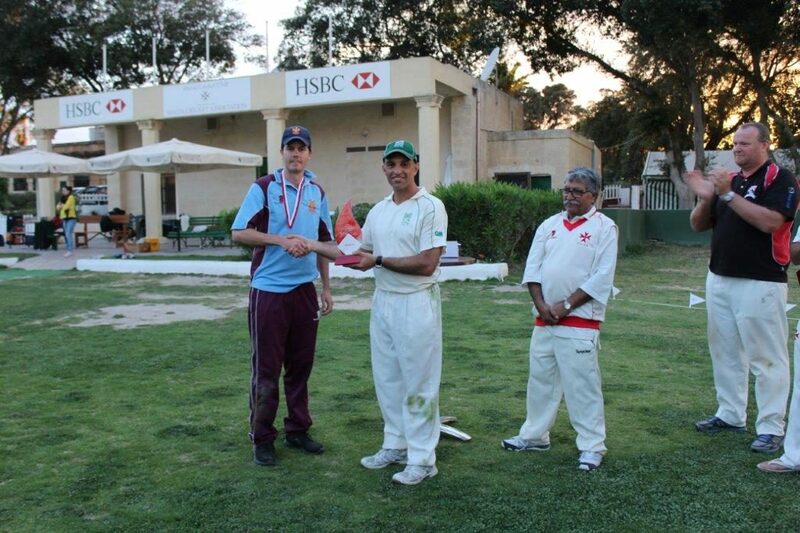 The first ever Super Over in Malta was required to split the teams, with Hampstead shading the result by 6 runs to 5. Sunday afternoon’s final between Marsa CC and Charterhouse Friars saw the locals win the toss and elect to field first. Marsa started well by dismissing R.Hughes, A.Rozier-Pamplin and J.Ryder-Smith cheaply. With the score at 46 for 3 from 5 overs, Marsa fancied their chances of repeating their group stage win. What proceeded was extraordinary, as 186 runs were scored off the final 15 overs. Darren Hooey (66 off 28) and Oliver Plummer (25 off 25) played second fiddle to a destructive innings from Henry Don. It was probably the best hitting display ever seen at the Marsa oval. Don closed the innings on 121 not out off only 53 balls as Charterhouse Friars reached a T20 record in Malta of 232 runs for 5 wickets from their 20 overs. In reply, Marsa’s best two top order batsmen, Nowell Khosla (24 off 19) and Frank Spiteri (55 off 25) took to the run chase in an aggressive mood but were part of James Chandler’s hatrick of wickets in the 8th over. The next 4 overs went for only 13 runs and it signaled to an end Marsa’s chances for victory. A courageous 54 not out by Derek Ali and 14 not out by Sumair Khan saw the Marsa innings to a close at a respectable 179 for 5. This brought to an end the 2nd edition of the MaltaT20 Crossfire Trophy with Charterhouse Friars CC crowned Champions. Shields were awarded to all 4 teams and the coveted Most Valuable Player and Best Batsman Awards went to Henry Don with an impressive 205 runs. Best Bowler went to Ben Ryder-Smith (Charterhouse) with 11 wickets, while Marsa wicket-keeper Sam Aquilina earned the Wicket-Keeper award with 4 catches and a stumping. Stephen Williams (Hampstead) took 4 catches to seal the Best Fielder award, while the Spirit of Cricket prize was won by Tom Plinston for “Fair Play”. Umpires: Alan Swift, Les White, John Grima, Kevin Krishna and Pierre Naudi. Scorers: Eric Balakrishnan, Paula Calleja and Carole Khosla. 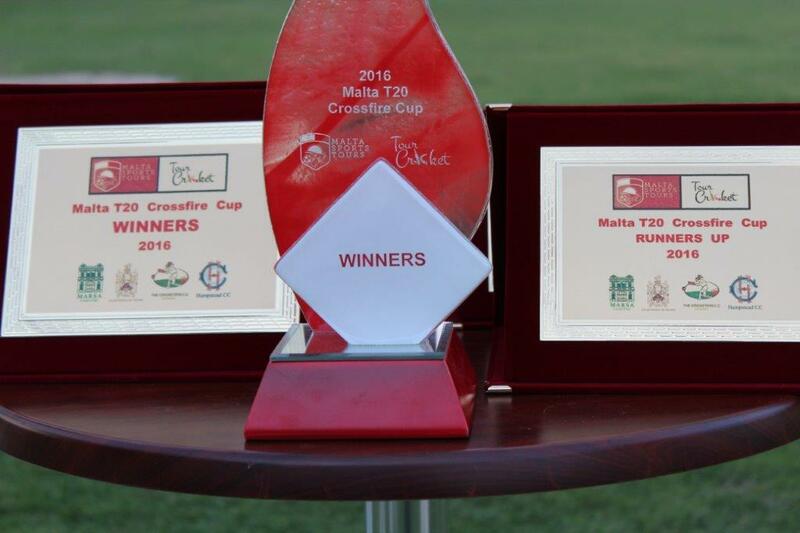 Tournament Sponsors: TourCricket.com, MaltaSportsTours.com, Sports Experience Trophies & Awards and Malta Glass Creations.